"I almost feel like Mars has been taking care of me for all of these years." 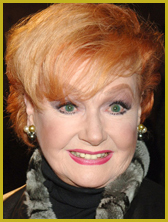 Ann Robinson was born in Hollywood, California on May 25, 1929. 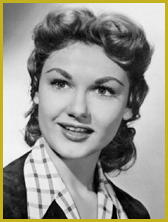 She literally grew up in the “shadow of the studios,” acted in school plays and conned her way into the movie business as a stunt woman with roles in Black Midnight (1949), The Story of Molly X (1949) and Frenchie (1950) where she was a stunt rider doubling for Shelley Winters. 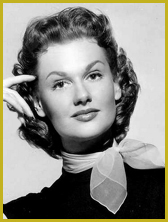 Although she was part of Paramount’s golden circle of new stars in the 1950’s, she had only one leading role in George Pal’s The War of the Worlds (1953). Her marriage to Jaime Bravo, a famous Mexican matador, derailed her film career. They were divorced in 1967 but both her sons ended up working in the film and TV business. She married Joseph Valdez in 1987 and revived her film career the next year. Ann has appeared in 55 TV productions and 24 films. Classic Film Hall of Fame, Awarded October 3rd, 2015 at the Rheem Theatre in Moraga, California.